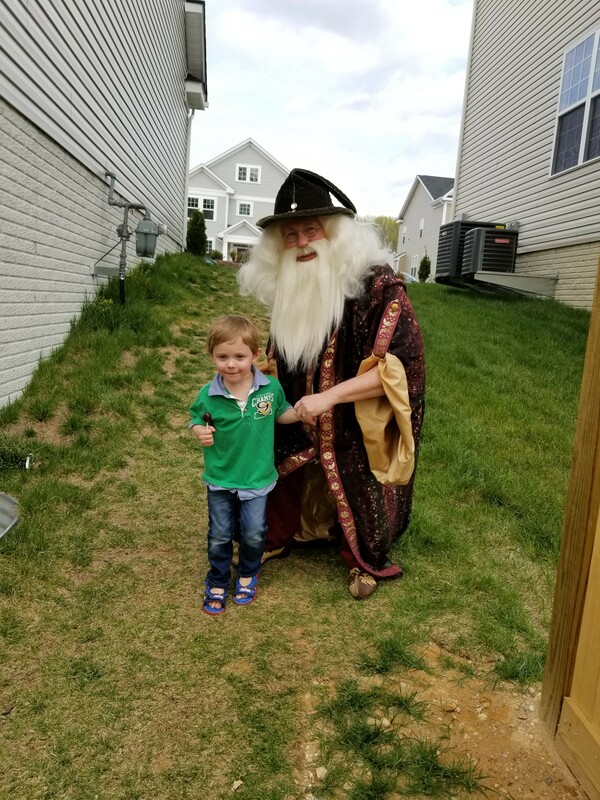 My twins turned 3 and we had a big birthday party for them. Flabbergast was a surprise and the little ones at the party loved him. 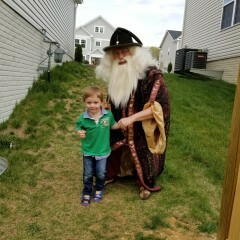 My 4 year old was his biggest fan and took a great pic with the friendly Wizard. He dresses & acts the part seamlessly. Book him and Enjoy! Thank you, Chris! You have a lovely family, and I enjoyed entertaining you all!